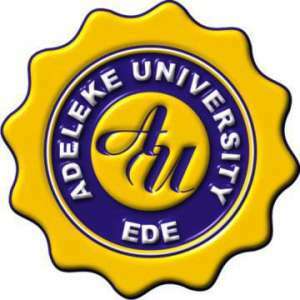 Adeleke University, Ede, Osun State, Resumption Date Notice for Freshers and Old Students [Starlites] for 2018/2019 Academic Session Announced. We are using this meduim inform both fresh and returning undergraduate students of the Adeleke University, Ede, Osun State, that the management of the institution has announced the resumption date for the commencement of the 2018/2019 academic session. Resumption dates for 2018/2019 academic session activities begin on 3rd of September 2018 for returning students while fresh students are expected to resume by 23rd of September 2018. Registration for fresh students begins immediately after resumption. Returning Students Registration commences on 3rd of September 2018, Late registration for stalites starts on the 17th September 2018 at a penalty fee of N1000/day.